For now, the journal doesn’t have any impact factor yet, since it’s not indexed by SCI or Scopus. 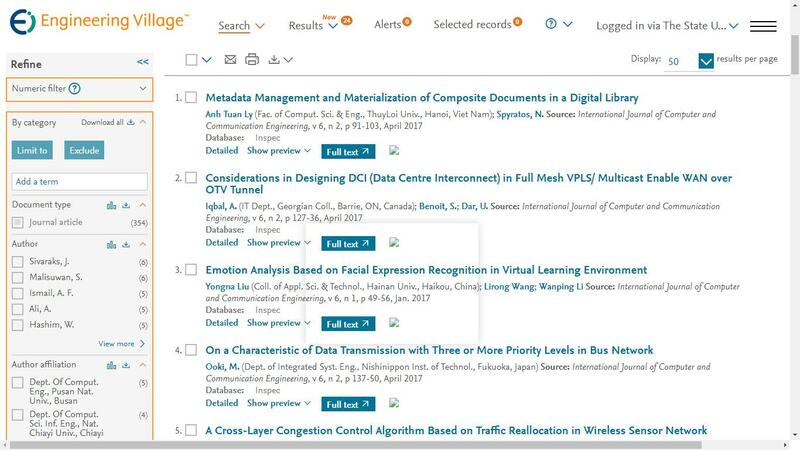 But the journal will be put forward to all relevant abstracting and indexing services, which you can learn from http://www.ijcce.org/list-16-1.html . We aim to publish work of sufficient merit so that each journal will be indexed by ISI Web of Science and therefore become eligible for an Impact Factor in due course. To use material printed in publications from the journal, please contact us to get permission at ijcce@iap.org.